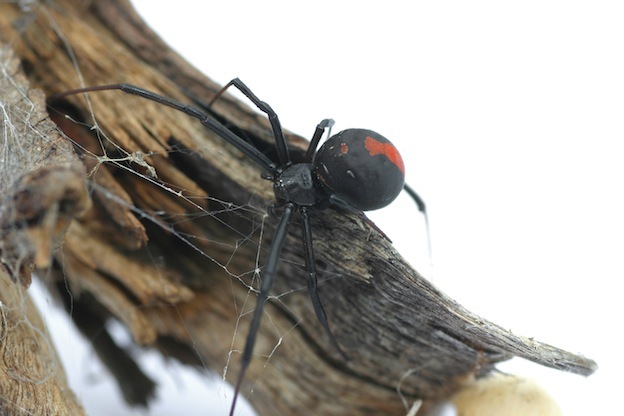 The Redback Spider is often mistaken for the deadly Black Widow. While it isn’t as deadly it still is one you have to be very careful of. The young have white coloring on them and their venom can be just as strong. Females are much larger than the males. They have a black body with some red on them. The female has a very round body and then legs that are slender. The stripe on her may be more of an orange than red. This is why this particular type of Spider is misidentified in the wild. Australia is the home of the Redback Spider, and it is considered to be one of the most dangerous ones living here. They tend to live in the hot regions. As long as they have plenty of food and there is shelter they will be able to survive in even the harshest of conditions. They tend to live very close to where humans live. It isn’t really understood why that happens to be the case. Many sheds, garages, and outdoor piles of wood or debris are often where they are found. They like places that aren’t disrupted often which is why human storage areas are perfect for them. There have been reports of some Redback Spiders found in Japan. This is believed to be the result of them in cargo or in shipments of woodchips. As a result the Japanese government has warned people to be on the lookout for them. When you look at the web of the Redback Spider you may be bewildered. It is definitely very chaotic and not pretty as what you see from so many other species. The threads are very thick though and sticky. The back area is where the egg sacks will be placed. The web has triggers on it that aloe the Spider to feel vibrations when there is prey in it. Small lizards, medium and large insects, and more can be found in the webs of a Redback Spider. They have to defend their food too as ants are known to come along and steal from them. They feed as often as they can but they are known to go up to 100 days without food when it is hard to come by. The males are mature about 3 months of age. The females often mature later. The life span of the males is only about 6 months. They will often die right after they have mated. The females have a lifespan of about 3 years. The male will likely be eaten by the female. If she doesn’t eat him he will naturally expire anyway. It seems to many experts that the males often sacrifice themselves to the female during the mating process. It isn’t understood why they do so but it is believed to be linked to instinct. The females are able to use part of the sperm from the male to create eggs. She can store up the sperm for up to 2 years. As a result she can have many batches of young without having to mate again. After the babies are born they will be blown off in the wind so that helps with the distribution efforts. A bite from the Redback Spider is very dangerous. The bite location can swell up quickly and it can be very painful. Most medical facilities have an anti venom that they can administer. If this is done fast then the patient has a very good chance of a full recovery after such an incident.